Attitude branding is based on the ‘feeling’, rather than the physical characteristics, of a product. The product may be promoted as making people feel free, energetic or powerful. This is commonly used for soft drinks and sportswear. Own brands, sometimes referred to as private labels or store brands, are brands that carry the retailer’s name. These are commonly used by large supermarket chains. Smaller businesses may also use their own brands – for example, a beautician may also have their own line of beauty products that they use and sell. A strong brand can help your business attract new customers and retain existing ones. 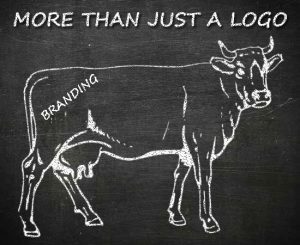 If you decide you need a brand for your business, it should be fully developed before you begin using it in advertising or on marketing material. A brand can give your business direction and it should be included in your overall business planning. Research your market and look closely at your competitors, consider the size of the market and who your potential customers are. Work out what will make your business stand out – this is commonly referred to as your competitive advantage. Think about brands for products or services that you instantly recognise and why they are successful. An internet search on branding will provide numerous articles and guides on branding from business experts. Your brand should reflect the personality and values of your business. When you are developing a brand, make sure you are honest about what your business is like and who your customers are. Customers can be put off if their experiences with a business are different from what the branding promises to deliver. While it might be tempting to design your own logo to save money, unless you have the required skills and experience, you will benefit from seeking professional help. A professional branding consultant or designer can work with you and develop a brand based on the vision for your business. If you decide to hire a professional to help you develop your brand, it’s important to keep an open mind. While you will probably have a few ideas of how you think your brand should look, a brand expert might advise against some of these ideas based on their experience. You will still have input so you are happy with the result, but by keeping an open mind you are more likely to develop a brand that stands out from your competitors. Make sure you are consistent in the way you use your brand. A good way of managing a brand is to develop a style guide or manual. This will include all the elements of your brand, from fonts and colours through to communication style. Numerous examples of branding style guides are available on the internet. If your brand doesn’t attract customers the way you hoped it would, you may need to consider refreshing it, or ‘rebranding’. In these cases, you need to revisit your business plan and research your market again to see what’s changed. You will need to take similar steps to rebrand as you did to develop your brand, including looking at your whole business and your customers and working out the vision for your business.